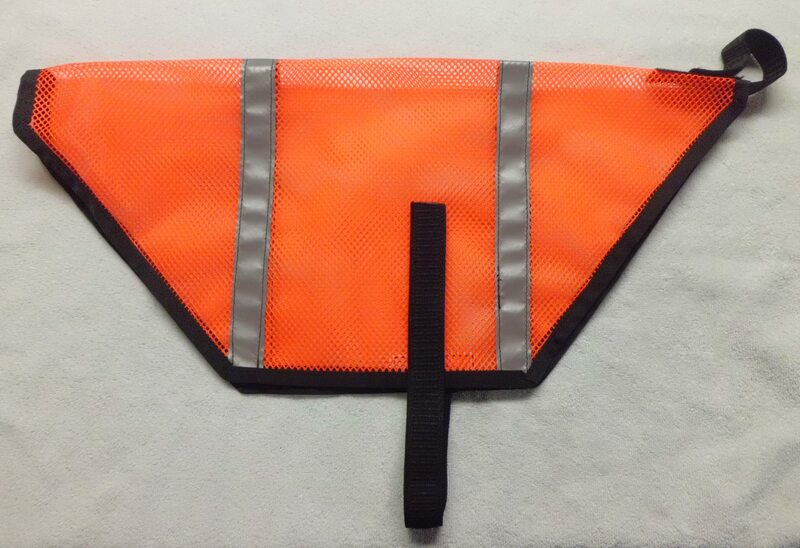 Our Hunter Orange Safety Capes are made with a breathable nylon mesh fabric that is bound with grograin binding for durability. 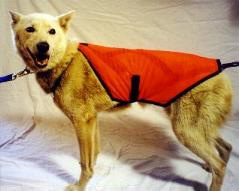 These capes are built to last and go on easily, they lie over the back like a saddle and attach quickly with elastic straps that have velcro closures, one for the collar and one around the belly. 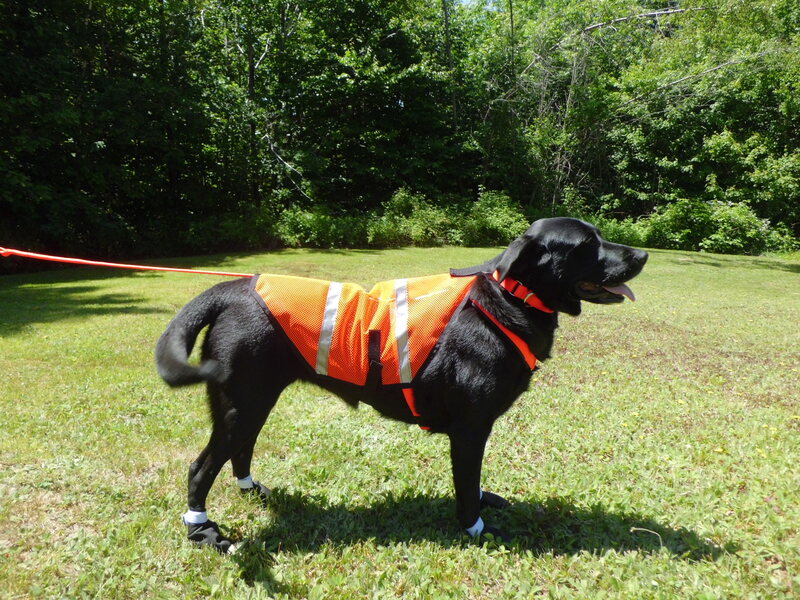 They provide excellent visibility when training in hunting areas or simply walking down the street! You can add 30" of 3M Reflective tape and be seen easily at night!